Anna Maria Island, Florida is one of the most breathtaking locations along the west coast of Florida. While the community is the ideal place to relax, kick back and enjoy doing not much of anything, for those with the itch to be active, Anna Maria Island Florida real estate places you in the midst of some of the area’s finest attractions. Our year round temperate climate also makes living on the island the ideal location for a myriad of exceptional activities. Warm Gulf waters are perfect for boating, jet skiing, fishing and kayaking, and you’ll find our beaches are the perfect spot for sunbathing and shelling. With the beach and the Gulf as your backdrop, nothing will stand in your way when it comes to recreation here on Anna Maria Island. Whether you’re an avid fisherman looking for the best fishing spots, would prefer to spend the afternoon exploring some of Anna Maria Island’s more cultural offerings, or simply want to take in a round of golf or tennis with friends – we’ve got it all here for you! When you choose to purchase Anna Maria Island Florida real estate or to rent any of the vacation homes Anna Maria Island offers, all this and more can be at your doorstep. Let’s take a look at some of the area’s most popular attractions. Beach Bums Bike and Kayak Rentals: This is an island favorite; the perfect place to rent bikes and kayaks for your next island adventure. Located at 427 Pine Street on the Island, you’ll find there friendly staff can point you in the right direction to explore the best-kept secrets of Anna Maria. The Bradenton Country Club: Located in Bradenton, here you can take in a round of golf with friends while enjoying the area’s beautiful natural surroundings and gorgeous weather. Busch Gardens: Located just a short drive away in Tampa, Busch Gardens is one of the most exciting theme parks in Florida. Roller coasters, rides, attractions, shows and animal encounters await you and the family! 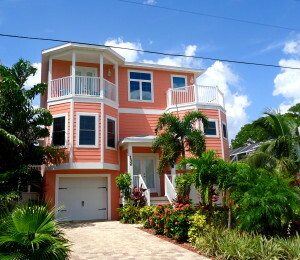 This is popular not only among tourists, but among Anna Maria Island Florida real estate owners as well. The Florida Aquarium: Also located in Tampa, the Florida Aquarium is an excellent place to take the entire family. Here you can enjoy taking a look at some of the world’s finest marine animals. The Fish Hole Mini Golf & Smugglers Cove Mini Golf: Both located in Bradenton, you’ll find these quaint mini-golf courses to be a great way to blow off steam and enjoy the great Florida weather with friends and family. These are just a few of the many wonderful activities and attractions available to those visiting and living on Anna Maria Island. For a complete list of our Anna Maria Island Florida Real Estatefavorite attractions, visit the “Where to Play” section of this website. Specialists in the purchase and sale of Anna Maria cottages, vacation homes and primary residences, it would be our great pleasure to introduce you to the wonderful housing opportunities that await you among Anna Maria Island Florida real estate. I am Cindy Quinn, one of the area’s top real estate professionals, and together with my team of highly accomplished real estate experts we look forward to serving your needs. Connect with us today to get started. 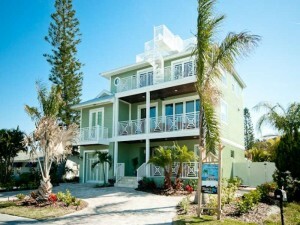 Anna Maria Island Florida Real estate is awesome.